Academy Award nominated composer Marco Beltrami scores the upcoming tenth installment in the X-Men film series, Logan, which opens in theaters March 3, 2017. Directed by James Mangold and starring Hugh Jackman, this is the third and final Wolverine solo film following X-Men Origins: Wolverine (2009) and The Wolverine (2013). 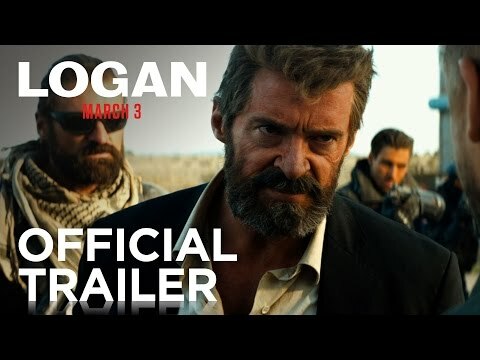 This installment takes inspiration from ‘Old Man Logan,’ a comic book by Mark Millar and Steve McNiven, which follows a past-his-prime Logan undertaking a final adventure in the post-apocalyptic future. Logan is the next installment in the highly successful X-Men series, and is intended to be Hugh Jackman’s final portrayal of the Wolverine character after having played the role for 17 years. The X-Men franchise currently has a combined global box-office gross of over 4.3 billion dollars. Logan marks the third collaboration of Beltrami with Mangold. Beltrami received an Oscar nomination for their first collaboration 3:10 to Yuma. The Logan original motion picture soundtrack will be available March 10, 2017 from Lakeshore Records. Marco Beltrami has worked with James Mangold on 3:10 to Yuma, creating a dark, guitar-based score, earning Beltrami his first Academy Award® nomination. As a brooding anti-hero, Wolverine is a character that demands a dark, thematic score that highlights his loner, devil-may-care qualities. With a background in horror and action-based films, Marco Beltrami brings a musical sensibility laced with bravado and doom to the newest X-Men film. “[Mangold wanted] directness and rough edges, an unpolished tone, energy. Somehow, I had to capture this while simultaneously creating a modern score. It did not need grandiose thematic music and verbose melodic statements. It was all about vibe.” said Beltrami. Marco Beltrami is an award-winning composer who built his reputation as a genre innovator with non-traditional horror scores for the Scream franchise and Don’t Be Afraid of the Dark. Beltrami’s musical palette has since expanded to virtually all film genres. He has received two Oscar nominations for Best Original Score, for The Hurt Locker and 3:10 to Yuma. He has received two Critic’s Choice Award nominations, and he was Emmy nominated for Outstanding Music Composition for a Series for The Practice. In 2011, he won the Golden Satellite Award for Best Score from The International Press Academy for Soul Surfer and in 2014 was nominated for a World Soundtrack Award for Film Composer of the Year, for his incredible range of projects including Carrie (2013), A Good Day to Die Hard (2013), The Homesman (2014), Snowpiercer (2013), Warm Bodies (2013), The Wolverine (2013) and World War Z (2013). Current projects for Beltrami include scoring the hit Fox television show, “Lucifer,” which recently got picked up for its third season, as well as the upcoming Paramount Pictures film Ben-Hur, which will be released in theaters later this year.